INDUSTRY.co.id - Jayapura - The management of PT Pertamina Marketing Operation Region (MOR) VIII Maluku-Papua said that fuel consumption in the two regions in Q3 / 2017 increased compared to the previous period. Retail Fuel Manager Pertamina MOR VIII, Zibali Hisbul Masih, in Jayapura, Sunday (29/10/2017) explained for the type of pertalite the proportion changed from 28 percent to 38 percent. 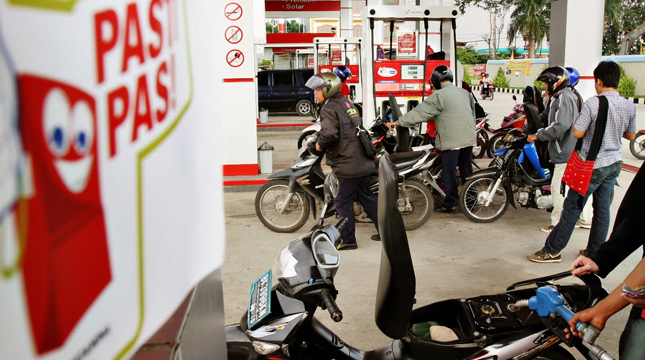 Meanwhile, the premium declined from 71 percent to 61 percent, while pertamax remained at one percent. "For an average daily consumption in October this changed again, where the average daily average of 723 KL per day or 40 percent, the average daily premium of 1.052 KL per day or 59 percent. At pertamax remains at 1 percent or 15 KL per day," he said. He added, for the composition of gasoline or diesel fuel vehicles also experienced significant changes. Comparison of the end of the second quarter to the third quarter for the type of dexlite proportion of 5 percent rose to 13 percent. While solar subsidies fell from 95 percent to 86 percent, and non-subsidized diesel fuel remained at 1 percent. "For the average daily in October, the average dexlite per day is 90 KL or 13 percent, the average daily solar subsidy is 604 KL or 86 percent, while non-subsidized diesel fuel is 1 percent or 6 KL per day," said he was as quoted by Antara. Zibali sees the most encouraging thing from the development of fuel consumption in Maluku-Papua is the continuous increase in the proportion of non-subsidized fuel absorption, especially pertalite and dexlite.